To establish a connection with your time clock over your network, you will have to connect your time clock to the same router that your computer is connected to. After connecting the time clock to the router, you will have to assign an available IP Address to that device. To find an available IP address, you will have to open the command prompt on your computer (you can find the command prompt by clicking on the Windows Start button, then type “CMD” on the Windows search bar). Once the command prompt is opened, you will have to type “ipconfig”. Next to "IPv4 Address" will display the IP Address of your computer. You will have to find use the PING command to find an available IP Address on your subnet. Once you find an IP Address that is not being used, you will have to assign that IP Address to your time clock. Once the IP Address is assigned to the time clock, you should be able to PING that IP Address from your computer. 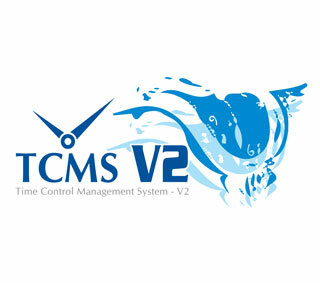 If you are able to establish a connection with the device, you will have to type the IP Address of the time clock into the TCMS software. When you open the TCMS software, a window called “Fingertec Terminal” should open (you can open this window by clicking on the Devices icon, and then double-click on Fingertec Terminals). Under the column that says “IP Address” is where you will have to type the IP Address that you assigned to your time clock. Once you enter the information, you will have to verify that your model device is the one selected under the Model column. Afterwards, you will have to uncheck the box under the “Disabled” column and click on the “Okay” button when the “Confirm terminal is online” window opens. If all of the information has been entered correctly, a window will pop up for you to enter the activation key. If that information has been entered, you will get a pop-up that says “Process Completed”. Afterwards, you will just have to click on “Save” to save the information and you will have full access to the TCMS software and a connection to your device over the network.